The Czech Philharmonic Children's Choir has released dozens of recordings during its more then 80-year history. This brand new double release offers a wide palette of compositions that let this internationally renowned choir glow and demonstrate its true artistry. The CD presents a repertoire of various musical genres from various periods, from the Renaissance to the present day. Additionally, it includes compositions commissioned by the choir, showcasing the beauty of the children�s youthful voices. Included is an enchanting rendition of Arvo Part�s composition Zwei Beter, which so impressed the composer that he called the ensemble to congratulate them! 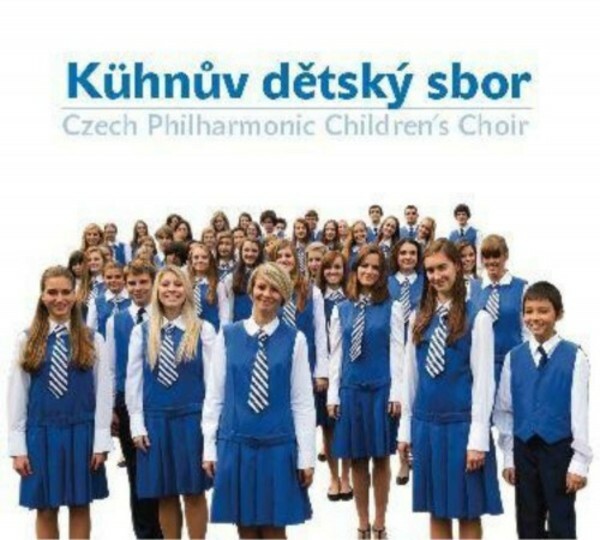 The Czech Philharmonic Children's Choir was founded in 1932 by Jan K�hn, a distinguished singer, director and choirmaster. Originally founded for the needs of the Czech Radio in Prague, the choir gained notoriety and in 1952 became part of the Czech Philharmonic, and remained so for forty years. The choir is now one of the most significant Czech artistic collectives, known globally. Over the course of its existence it has given thousands of talented children a love of music and art. Its most talented children have grown into distinguished musicians � conductors, directors, composers, singers and instrumentalists. Its tradition and the breadth of its artistic scope makes it a unique artistic institution, not only in the Czech Republic but throughout Europe.